The State of South Dakota celebrates its Quasquicentennial, or 125th anniversary of statehood, during 2014! When South Dakota became a state in 1889, there were only two state-run correctional facilities: a Penitentiary in Sioux Falls and a Reform School in Plankinton. To learn more about what was going on with those institutions at that time, click on one of the links below. 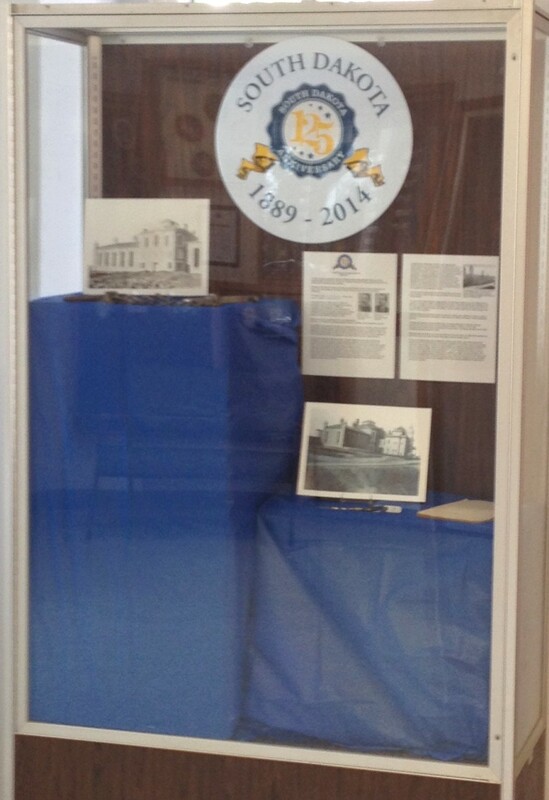 A display case featuring the Penitentiary information, historic photos and items was available in the main lobby of the State Penitentiary.